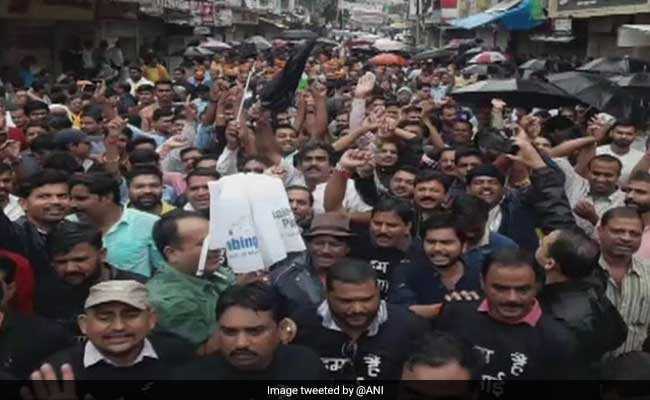 Normal life was partially affected in several parts of Madhya Pradesh today as scheduled caste outfits staged protests and strike as part of a countrywide agitation against the SC/ST Act. Shops and business establishments remained shut in several areas. Vechicular movement was also affected. Petrol pumps were also closed in the state capital and other areas. Security has been beefed up and 35 areas are put on high alert, police said. The administration has imposed prohibitive orders under section 144 of CRPC in Chhatarpur, Shivpuri, Bhind, Ashoknagar, Guna, Gwalior and Katni, sources said. Several scheduled caste organisations have given a call for a 'Bharat Bandh' against the amendement of the Scheduled Castes and the Scheduled Tribes (Prevention of Atrocities) Act. The Gwalior-Chambal region had witnessed large-scale violence on April 2 during the Bharat Bandh called by scheduled caste groups in which four people were killed.